L as in La Panthère, as in feline, as in Liberty. "L" as in rebellious, goddess-like women. The panthers of today, they dare and take all liberties. 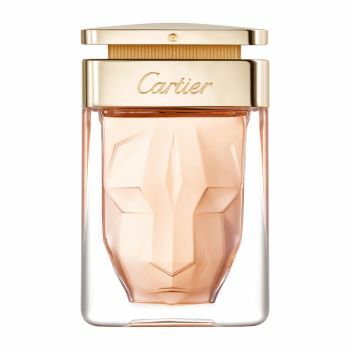 Mathilde Laurent, Maison Cartier's In-House perfumer, has boldly imagined a distinctive "feline-floral" accord, where velvety musk tames the gardenia's sensuality. La Panthère has singled out a glass bottle faceted from the inside, a sculpted treasure chest that leaves a silky trail, breathtakingly seductive, dangerously addictive.